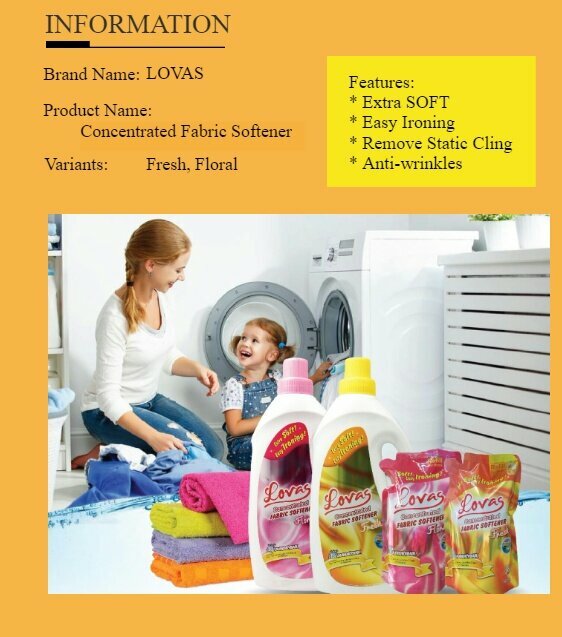 Eliminates static cling from laundered fabrics. 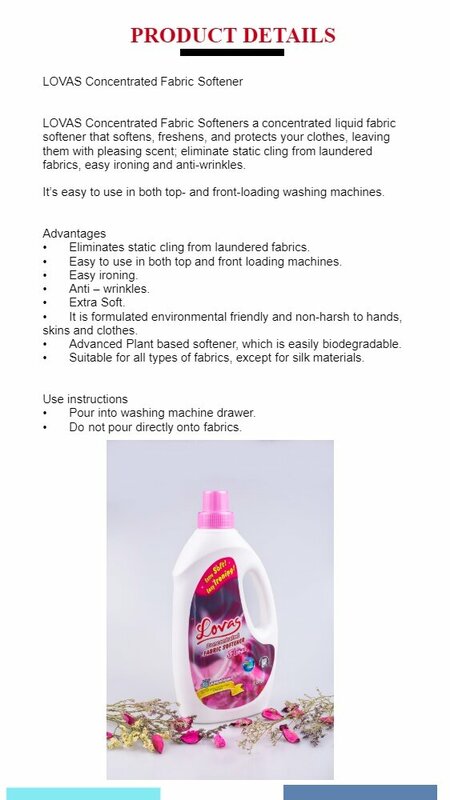 Easy to use in both top and front loading machines. 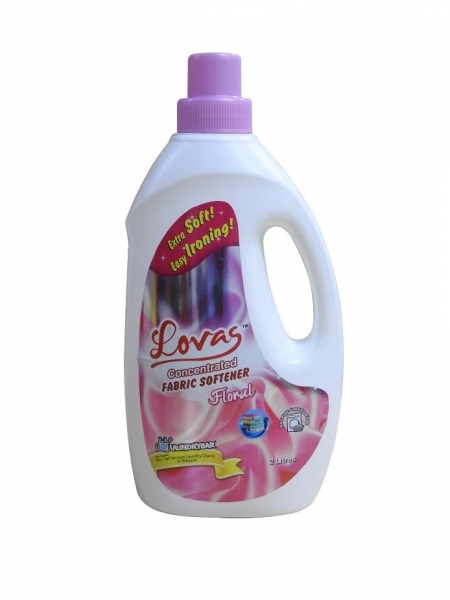 LOVAS Concentrated Fabric Softener is a concentrated liquid fabric softener that softens, freshens, and protects your clothes, leaving them with pleasing scent; eliminate static cling from laundered fabrics, easy ironing and anti-wrinkles. 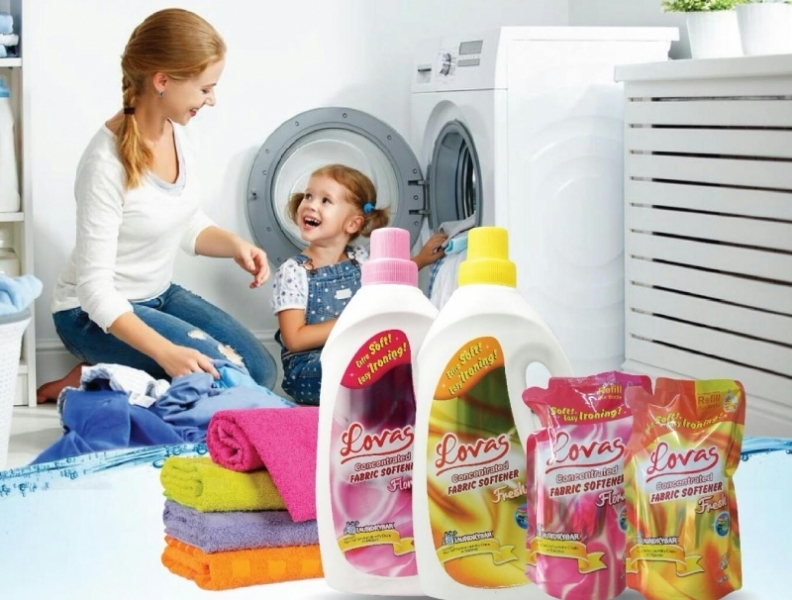 Its easy to use in both top- and front-loading washing machines. 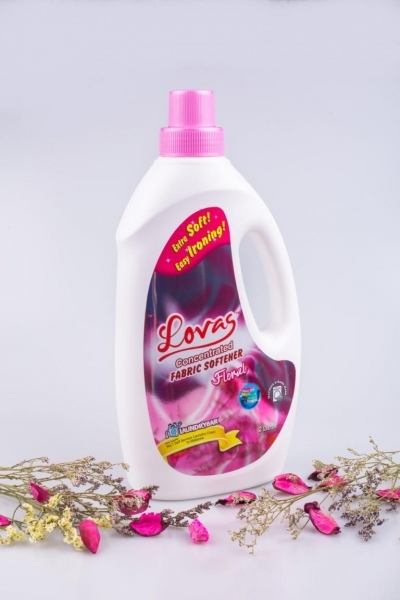 It is formulated environmental friendly and non-harsh to hands, skins and clothes. Advanced Plant based softener, which is easily biodegradable. 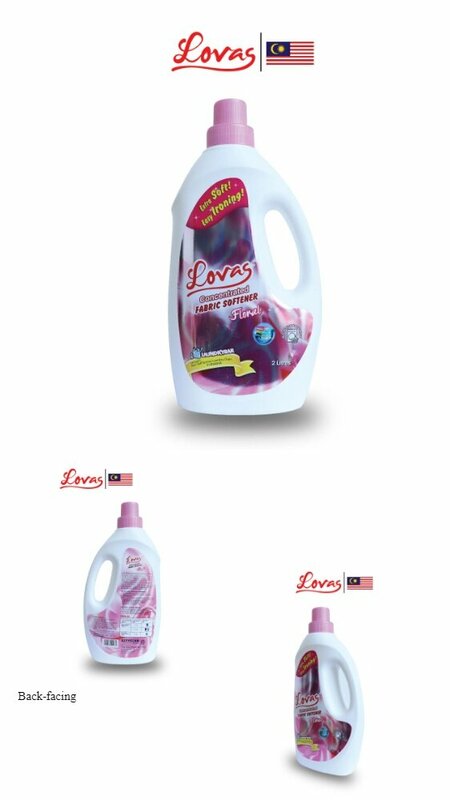 Suitable for all types of fabrics, except for silk materials. 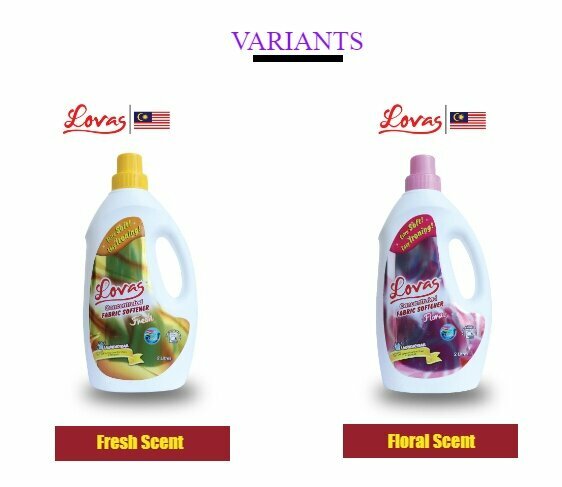 Fragrance used is in compliance with the Standards of the IFRA. Pour into washing machine drawer. 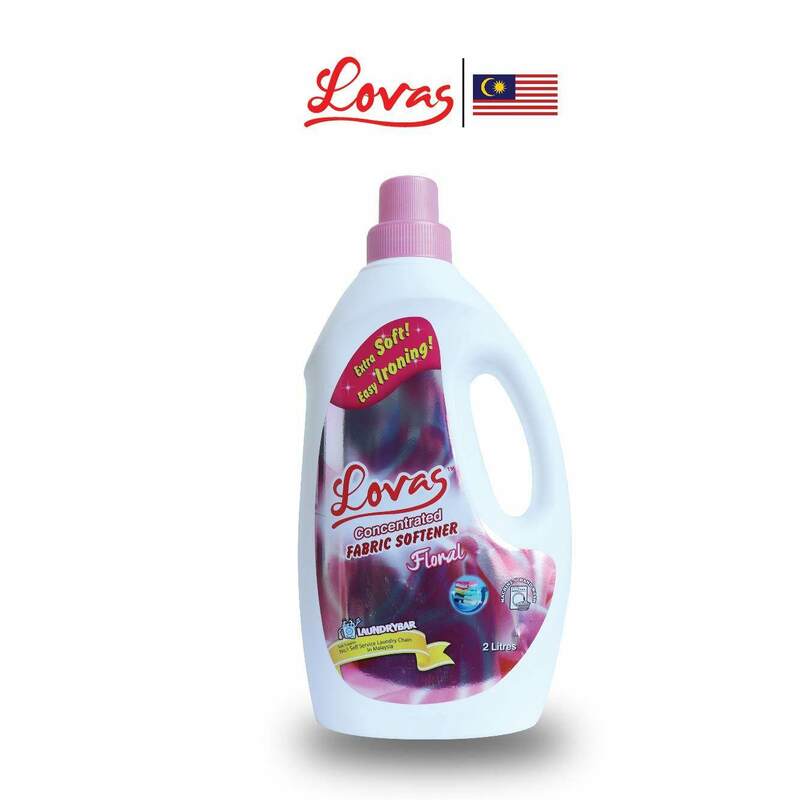 LOVAS Concentrated Fabric Softener dengan (Floral, Fresh) Refreshing yang pekat adalah cecair pelembut kain yang melembut, menyegarkan, dan melindungi pakaian anda, tinggalkan pakaian anda dengan bau yang menyenangkan, menghapuskan berpaut statik daripada kain dibasuh, mudah seterika dan anti-kedut. 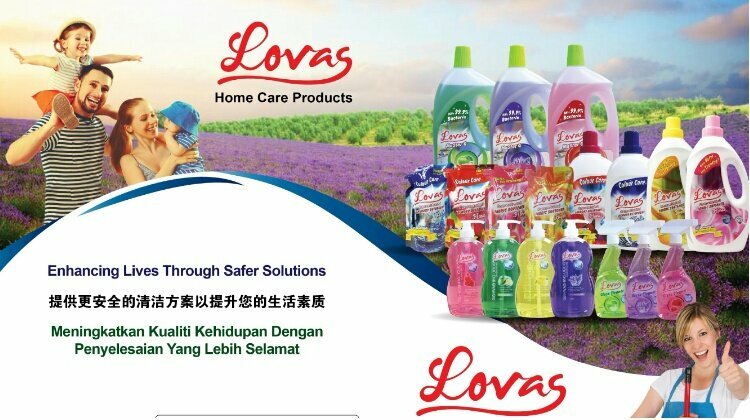 Ia mudah untuk digunakan dalam kedua-dua mesin basuh top- dan front-. Ia mudah untuk digunakan dalam kedua-dua mesin basuh loading top- dan front-.